The No. 9 LSU Tigers shutout the No. 7 Florida Gators 8-0 evening the series at one game apiece. 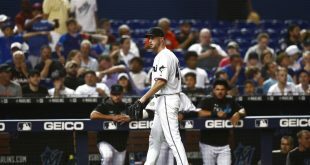 This was the third time this season, second in five games, that the Gators were unable to produce a run. Florida had just three hits on the day to go along with four walks. To be fair, Maribeth Gorsuch was lights out for the Tigers in the complete game shutout. The Gators left runs on the board leaving a total of nine runners on base in the loss. Kendyl Lindaman was the lone bright spot on the day going two for two with a walk. 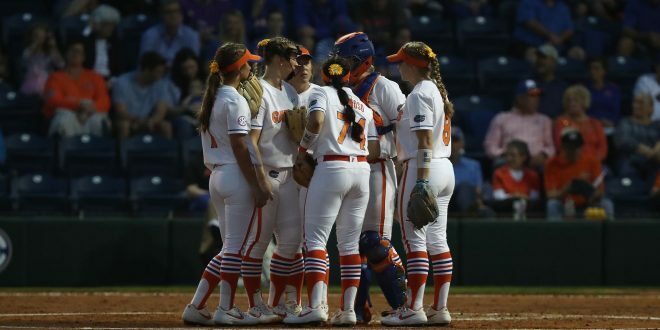 Florida has had trouble finding consistency from its pitchers not named Kelly Barnhill. 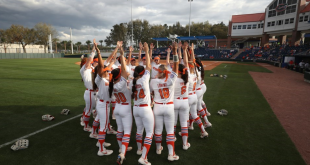 Natalie Lugo was chased off the mound after just two innings of work and Elizabeth Hightower struggled after giving up three runs in three innings. 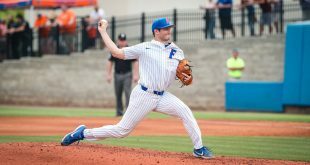 Head coach Tim Walton will need to get more out of his secondary pitchers if the Gators are going to make another championship run. The Gators are back in action today against the Tigers in the final matchup of the series. Florida will look to take the series and even their conference record before returning to Gainesville for a homestand.